Not the type of dreamer that has visions for the future, but a sleeping dreamer ~ someone who has a lot of dreams and recalls them easily. Or maybe you’re someone who doesn’t frequently recall your dreams, but when you do they are very important messages from somewhere beyond or someplace deep within. Sleep itself belongs to the Moon, and is one of the Moon’s greatest healing tools. Dreams, though, belong in Pisces’ realm of healing tools. There’s a lot of scientific evidence that says our dreams are nonsense. They don’t really mean anything, at all. They’re just a jumbled bunch of images from our waking hours that the brain is sorting through. A dreamer, however, knows that’s not true. There are messages in those dreams, and we’d better pay attention to them. 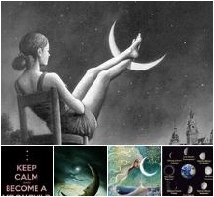 In 12 Things to Do When the Sun Transits Pisces, I suggested that you recall your favorite dream. My favorite dreams involve flying. Now don’t go running to a dream dictionary to figure out what that means. To be completely frank, a dream dictionary is something I won’t touch. Dreams are sacred ground to me ~ holy ~ and I don’t want a one-size-fits-all, generic description telling me what a very personal symbol means. Flying can mean a lot of things, depending on how it fits into your dreams. It is an absolutely incredible experience that completely removes us from our earthbound bodies. If you’ve never had a flying dream, maybe lucid dreaming can help you. They are wonderful. Most of the dreams we recall aren’t our favorites; they’re bad. Those with a vivid dream life are in touch with their subconscious, even if they aren’t dealing with it, and the disconcerting messages are played over and over again. We can laugh at them sometimes, but more often than not they plunge us into deep thought. Dreams take on various forms and deliver a multitude of messages. There are recurring dreams and dreams that are easily forgotten but that still carry important, though fleeting, messages. And I’ll even agree that some dreams are just the brain’s way of sorting and deleting information. For dreamers, though, none of that matters. It’s all high priority stuff. Beginning when I was a child and lasting through my early adulthood, I was a constant dreamer ~ usually three or four dreams a night with one headliner dream that stood out from the rest. Many of them were psychic dreams. As a young girl, I would sit at the breakfast table with my Mom and tell her about the dream, only to watch it play out sometime during the day. I was terribly frightened at times by those experiences. I didn’t know how to handle them, and there was no one to guide me. I started visiting the library and sheepishly entered the section on ESP, trying to find an answer about why this was happening to me. This was in the early 60’s, a time when there wasn’t much available on the phenomenon and a lot of what was available said ESP was evil, the work of the devil. (Now there’s something you want to teach your kids! It’s just beyond ignorant.) By the time I was in high school, my dream life was so vivid that I wasn’t really sleeping anymore and was absolutely exhausted by the time I had to get out of bed. I know there are some of you who identify with this and fully understand it. By the time I entered college, the dreams began to feel like a plague. That’s when I made the conscious effort to turn them off. I worked very hard not to recall my dreams, to push them away. I don’t recall now how I did that, but it worked. Too well. By my early 30’s, I was longing to have access to my dreams again, but couldn’t reach them. That’s when I entered the phase of recurring dreams. Recurring dreams are dreams that you have over and over again and they are usually quite disturbing, nightmarish. I had two types. One was that there was a hidden room in my home. I wrote about this recently in my post on Feng Shui. The other is too personal to share, but I will say that it did come true and my life was completely devastated. I am not the same person I was before the dream’s wakening, and life will never be the same again. Pay close attention to recurring dreams. They are crying out to be addressed. The symbols are so blatantly obvious that they aren’t symbols anymore. They are real, uncloaked, rawly naked. Repressing them in the dream state can only bring traumatic experience into the real world. Recurring dreams can be precognitive of a situation that will eventually manifest after much repression, or can be a result of a post-traumatic stress disorder where a traumatic event is relived again and again in both the waking and dream state. My secret recurring dream is both. It started years before it manifested and continues as a symptom of a type of PTSD even now. And, no, PTSD is not limited to war veterans. A third type of dream that is considered disturbing, although frequently beautiful, is the Wise Baby dream. In this dream, you are with an infant that is speaking to you. Wise babies are fequently very, very pale and glow with an intense light. Most often, the baby is telling you the secrets of the universe and if you could only remember what the baby said, you just know that life would be very, very different. But you can’t remember. I am an extremely active dreamer (Pisces Moon trined my 5th house Neptune (creativity) and opposed My 3rd house Pluto (mysteries)) And I have been all my life. Given the free hours of a Saturday morning or a holiday Monday I’ll dive back under my pillow just to continue dreaming. I’ve even gone to sleep purposely planning to dream of an upcoming event so that I can ‘practice success in my head’. I find that diving back in bed in the mornings is excellent dream time. Maybe it has to do with waking during REM sleep or right after. I don’t know, but I do remember nap dreams now better than I remember others. I have to say that I miss my dreams. I hear the very preciousness of this post for you. I believe I understand the loss of dreams because there was no one to walk you through them. I too am a dreamer, of the sort you describe. It’s wonderful to read it here, in this fashion assigning this kind of dream-work to that of Pisces. My mother was a Pisces, and when I was very young it was to her I went to help with the deeply psychic dreams that would come. She guided me as best she could and then there was a limit to which she could pass the messages in words. The depth of your post here does not go un-heard. My dreams are multiple, and most of them I remember. I appreciate your timely sharings. This one, and many others. We are in agreement that dreams are sacred. Hawaiians, among many other ancient peoples and cultures value the dream as sacred messenger. If you visit VardoForTwo and scroll down the sidebar there is a reference to the value of dreams in my mother’s culture. 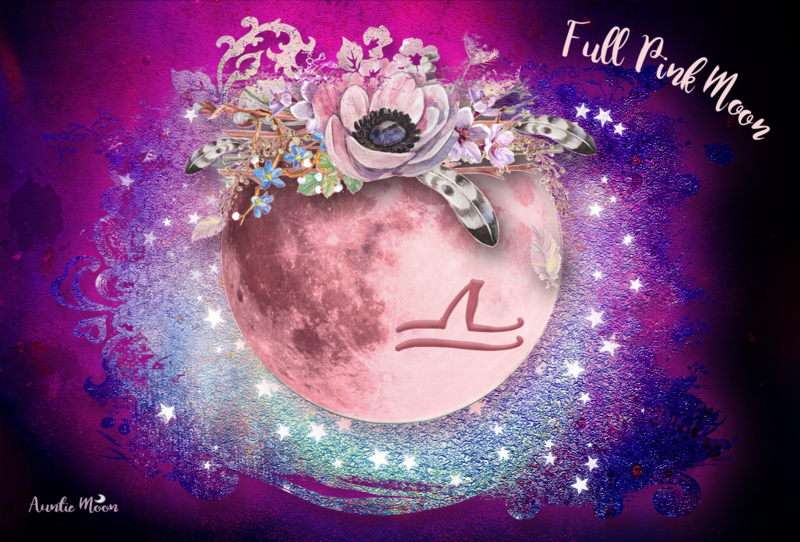 Thank you for making that distinction between the kuleana (area of responsibility) of the Moon and Pisces. It’s significantly different and does help in the processing of life issues that are sometimes stuffed or masked during the waking times. I love my dreams and love that I can come here to the lit screen and be reminded of their value. I know there are many people who understand this. My mother was a dreamer, too, but she was at as big a loss as me to explain. She simply trusted and handed it over to God, but I needed to understand. Why me, and not others? The ability to dream on demand that you mention in your sidebar strengthens my desire to access that dream-state again. It sounds as though it’s a form of meditation. (I added the link to VardoforTwo in your comment, btw.) Daydreams are another way the dream-state is accessed. I must have spent 4 of my 6 years of elementary school staring out the window. Oh, the stories that could unfold — so much more interesting than the classroom. And it’s why I suggest “stare into space” as a way to feel the Pisces energy. The outside world simply falls away. As always, Mokihana, you bring a gentle, beautiful message of understanding and support, and I thank you for that. When I was young, I would have dreams and then they would happen in waking life, just as I would dream them. It freaked me out because I didn’t understand, until I read something (I was about 9) that explained them as a form of ESP. That article really helped for I could relax and be fascinated by them. The dreams increased in frequency as I became a teenager and were so overwhelming that I, too, wished them to cease. And they did. Now, I’m disappointed they did. I still have them, though less often and they don’t seem to pack quite a punch. I can tell you really understand why I pushed them away, Anne. As difficult as those years were, I’d take the dreams back. Like you, the ones that get through now are very powerful. And I pay close attention.